Drivers could face tougher phone laws. The law in most states allow motorists to touch their mobile phones when answering or ending calls only if the device is secured in a cradle. But the NTC wants a blanket ban on touching phones behind the wheel, claiming drivers are being left confused by when they can and can't use their phone. According to a paper released by the NTC, Australia's current approach to mobile phone usage was developed in 1999 when phones were used primarily for calls and text. 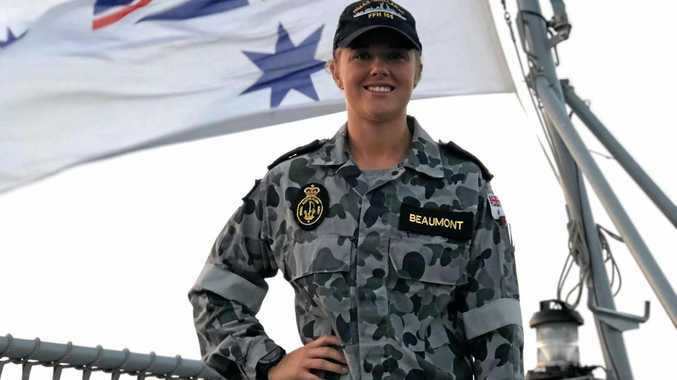 NTC Acting Chief Executive, Dr Geoff Allan, said the introduction of new technology, like smart watches, means the line between what can and can't be used is becoming blurred. "The road rules are silent on which behaviours associated with distraction should be avoided or minimised," he said. "It is also not clear whether the use of newer technologies, like wearable devices, are regulated by the existing road rules." 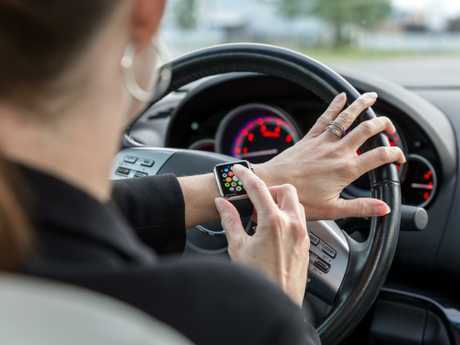 Some states aren’t clear on whether wearable devices can be used while driving. 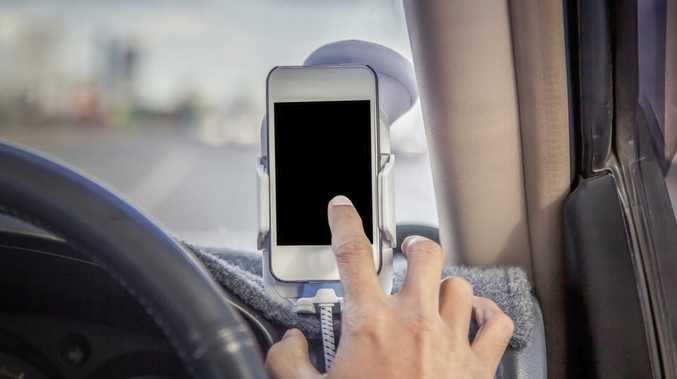 "Although the manual distraction from handling a mobile phone can present a significant safety risk, the cognitive distraction from being engaged in a conversation can also have a considerable effect on driving," the paper reads. "This means that having a conversation on a hands-free phone while driving could be as distracting as using a handheld phone." The NSW Centre for Road Safety website states that drivers with a "full unrestricted licence" can touch their phone for the purpose of a phone call if it is "secured in a mounting fixed to the vehicle".